A 12-year-old Georgia boy says he had no clue a $20 bill his father gave him was fake until he tried to buy lunch at school, where administrators suspended him for using counterfeit cash. 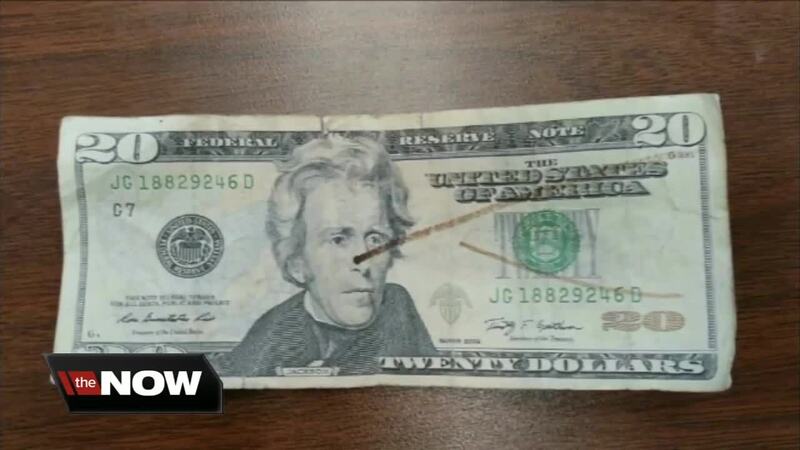 MCDONOUGH, Ga. (AP) — A 12-year-old Georgia boy says he had no clue a $20 bill his father gave him was fake until he tried to buy lunch at school, where administrators suspended him for using counterfeit cash. Christian Philon and his parents said the bogus bill fooled them until a lunchroom cashier at Austin Road Middle School checked it with a marker and determined it was fake. School administrators punished Christian with 10 days of in-school suspension, the family said. "They said, 'You possessed it, so you're going to have to pay for it,'" the boy told WSB-TV . His father, Earvin Philon, said he received the bad bill as change at a fast food restaurant and, not realizing it was fake, gave it to his son. He said he reported the bill to police after the lunchroom worker discovered it was counterfeit Jan. 10, but a school disciplinary panel Wednesday upheld his son's punishment. Henry County Schools spokesman J.D. Hardin declined to comment on the boy's case Thursday, saying he's not allowed to discuss disciplinary actions involving students. The TV station reported that school officials said they also could not comment on a disciplinary matter involving a student. Christian's parents said they will continue to fight to clear their son, whom they described as a straight-A student and an athlete.